Last week, the Bureau of Labor and Statistics (BLS) reported that the unemployment rate for Post-9/11 veterans* increased slightly from 6.5 percent in March 2015 to 6.9 percent in April 2015. Among all veterans, unemployment rates decreased slightly, from 4.9 percent in March 2015 to 4.7 percent in April 2015. The national employment rate remained essentially unchanged at 5.4 percent in April, compared to 5.5 percent in March. Every week the BLS reports these numbers and IAVA’s research team tracks them for you, but that doesn’t mean much if you don’t know where these numbers come from. To understand the unemployment numbers, you should first have an understanding of who the BLS is talking about when referring to the unemployed. There are three categories individuals can fall into – unemployed, employed, or not in the labor force. BLS considers individuals to be employed if they worked at all for pay during a certain week each month. This also includes people who are on vacation or other leave from their jobs, including family leave. However, the BLS does keep track of changes in the number of people in the labor force by using labor force participation rates. 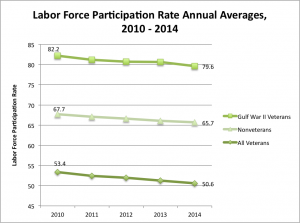 For both veterans and the nonveteran population, the population in the labor force has been on the decline. Overall, labor force participation rates are the lowest they have been since the 1970s. Veterans overall have a lower rate of labor force participation compared to nonveterans meaning fewer are looking for work or able to work. 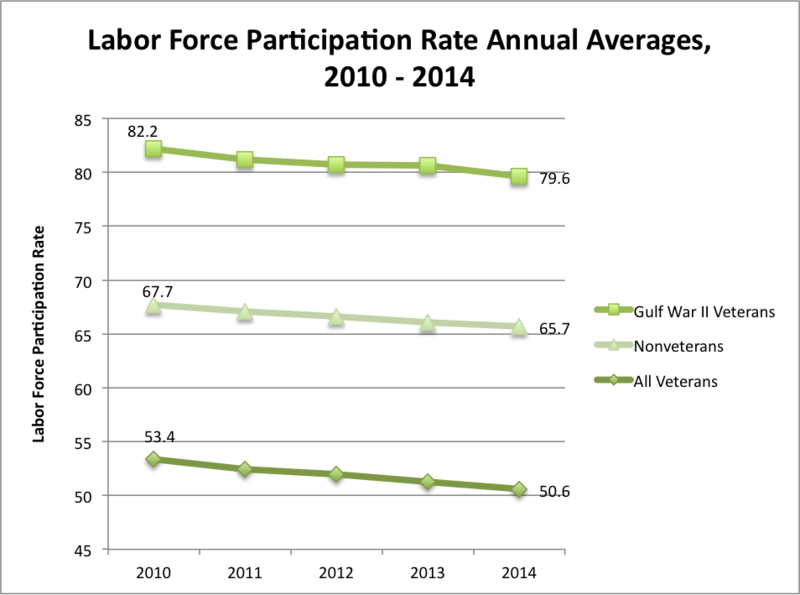 The figure below illustrates the change in labor force participation rates for all veterans, post-9/11 veterans and nonveterans from 2010 to 2014. As shown in the above figure, post-9/11 veterans have a higher labor force participation rate compared to those of all veterans overall and nonveterans. Post-9/11 veterans also have consistently higher rates of unemployment – meaning more are consistently looking for work and able to work. As more new veterans return from the most recent conflicts, we should keep in mind their military experience, specialized skills and willingness to work. As a nation, we need both private industry and the public sector to provide opportunities for all veterans seeking not just work, but long-term career success. * Unemployment rates for the Post 9/11 generation tend to show more variability, in large part because of the small population sample size used to calculate this rate. For veterans who are facing hardship due to being underemployed or unemployed, we encourage you to contact our Rapid Response Referral (RRRP) team to get connected with resources to help you. 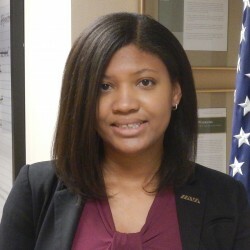 Contact us directly by calling the toll free number: 855-91-RAPID (855-917-2743) emailing transition@iava.org.